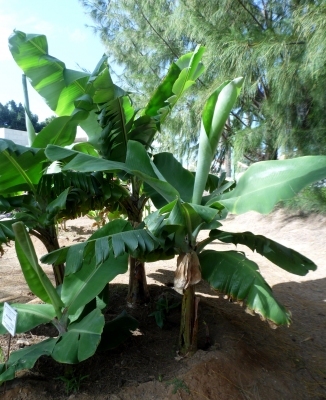 Musa × sapientum pumila (N.G.Teodoro) Merr. Musa tomentosa Warb. Ex K.Schum. Musa zebrina Van Houtte ex Planch. E. Asia - Southern China, India, Sri Lanka, Myanmar, Thailand, Vietnam, Malaysia, Indonesia and the Philippines.